Get in touch with us by filling in all applicable details into our contact form. Please select the applicable line of business category which your company is engaged in. Our representative will contact you for further details with regards to our Application Software Products which you are interested in. We will make every effort to respond to your comments or questions in a timely manner. Over the years from 1995 to date, our office spaces are built with the premise that creativity is positive in relation to work. Located in the heart of Mumbai's central business district of Powai - Andheri. Kensoft Infotech Ltd. is an ISO 9001-2008 Certified Company with Bureau Veritas & UKAS. We have forged strategic partnerships with global industry-leading organizations. With our association with the most respected companies in the history of technology, we can show you the future of IT today! Ken-HFS has end-to-end integration and covers all operational aspects of the housing finance sector. It is tailor made for NBFCs and banks engaged in the business of housing loans. Apart from being user friendly, it is intuitive and is at a degree of proven quality and excellence achieved through Kensoft's expertise in design and development for over a decade. SOFTIL (Software for Institutional Lending) is a comprehensive Enterprise Cloud ready MSME business loans software product which is tailor made for Financial institutions(FIs), Banks and NBFC's. This is a domain enriched software product which has an extensive knowledge base with inputs & effort from various domain experts, consultants and development teams. Ken-CBS (Kensoft's Core Banking Solution) encompasses all aspects of banking operations for a commercial bank and can be customized to the specific needs of any bank. It is modular with a highly integrated workflow. Various financial products can be setup for deposits, term loans, working finance, project finance, bill discounting, letters of credit etc. Follow Kensoft around the web! Stay up to date with news feeds, tweets, posts & threads created & handpicked by our social newscast. Kensoft's suite of Enterprise FinTech Products are qualified on the world's best Oracle RDBMS and Fusion Technology. As an Oracle Gold Partner for over 10 years, we provide Support Assurance for Oracle database implementations and Application Server Management & Tuning. Kensoft's FinTech Applications are designed and optimized for the industry's broadest and most integrated Oracle Cloud Platform. 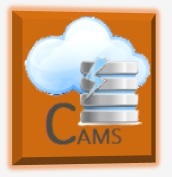 KenCloud Financial Applications are integrated with Amazon Web Services. Our software applications are designed and developed on multi-tier web architecture. With our Server management & Computing expertise and IBM's Support and resources, we can guide you on how to manage and maintain your Data Centre in the most efficient, secure and cost effective manner on IBM - Softlayer. Kensoft Infotech Ltd. is a proud recipient of the CSI National Award for IT Excellence in the BFSI sector at the 48th CSI Convention. The award was conferred by Mr. J Satyanarayana, Secretary, Department of Electronics & Information Technology, Government of India, Mr. S V Raghavan, President of CSI and Scientific Secretary to the Union Government, Mr. Anil Srivastava, Joint Secretary to the Ministry of Civil Aviation & Chairperson with other senior officials of the Government of India. There is a marked presence of industry stalwarts & IT experts at the CSI Convention, such as the CTO - Bank of America, MD - VMware, CIO - Wipro Ltd. and other esteemed dignitaries. The Computer Society of India has instituted this National Award for those who have implemented exemplary projects in the field of IT to meet their organizational goals and improve service delivery to the target segment. Formed in 1965, the Computer Society of India (CSI) has been instrumental in guiding the Indian IT industry down the right path since its formative years. Today, the CSI has over 73 chapters with more than 1,00,000 members, including India's most famous IT industry leaders, brilliant scientists and dedicated academicians. The finalists and star participants were Datamatics Global Services Ltd, Mahindra & Mahindra Financial Services Ltd, Union Bank of India, Kensoft Infotech Ltd, Tech Mahindra, Bharat Heavy Electricals Ltd, iGate, IBM, Reliance Infra and other corporations of distinguished stature. Kensoft Infotech has a specialised range of Enterprise Level Products with Financial DSS (Decision Support Systems). These high-performance Cloud Ready Software Products are part of the KenCloud Suite of FinTech Applications. 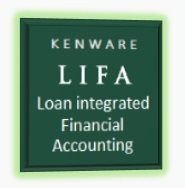 LIFA(Loan Integrated Financial Accounting) is a comprehensive integrated Accounting software with loan and financial accounting combined into one software solution. Accounting is done through user defined general ledgers (GL) and sub-GLs. Receipts against Loan repayments are appropriated in pre-defined order of Interest, principal etc based on business policy. Accounting outputs like Trial Balance, P&L account and Balance Sheet are available on tap on daily basis. Kenware-CAMS(Credit Appraisal Management System) offers a structured model for business loan appraisal with all required qualitative and quantitative parameters including financial viability ratios. Data build up comes from basic entry screens in structured formats for demographic details, cost centers, revenue centers etc. All decision parameters including financial ratios are given out by the system. For any inquiries regarding our Products & Services, please send us a mail with essential information pertaining to your requirement. We will make every effort to respond to your comments or questions in a timely manner. Our team representative will contact you to discuss details for the same. Your feedback is important to us. Copyright © 2017 Kensoft Infotech Ltd. All rights reserved. Designed by Kenforce.